Weight Checks are by appointment only and offered at advertised events. You can see our events posted on our Facebook page. Weight checks are the best way a mother can be assured that her breastfed baby is getting enough milk. Many moms come by to weigh just to watch their baby growing! You are always welcome. Best Start has the medical grade Medela BabyWeigh™ scales that are accurate to 2 grams (.2 of an ounce). These scales are used in hospitals, physicians’ offices and clinics. 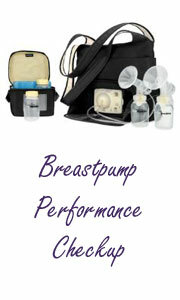 They can even tell you how much milk your baby is taking during a breastfeeding.